The enormous demand since legalization is creating supply chain headaches for stores, regulators, and producers. It hasn't taken long for various licensed cannabis retailers in Newfoundland and Labrador to run low on, or completely out of, marijuana. Newfoundland and Labrador was the first province to open for business as midnight struck on Oct. 17, marking the beginning of legal cannabis in Canada. 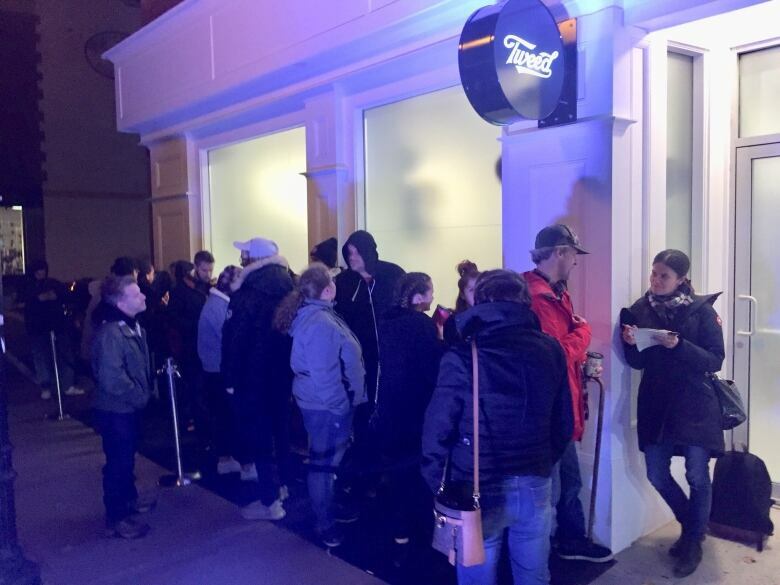 In Portugal Cove-St Philip's, THC Distribution ran out of product just after 4 p.m. Wednesday, only a day after owner Thomas Clarke predicted he'd be sold out completely by Friday. "It's very bad news in my eyes. I ran out at 4:20 today, believe it or not," Clarke told CBC News. "I'm a little shocked that I sold out so fast, and also very upset that I don't have product for everybody. I'm letting down a lot of people here and I was assured that if I paid for the cannabis I would receive it." Clarke was one of the first stores to open up for business at 12 a.m. on Wednesday. He said he only received $10,000 worth of a $70,000 order from his supplier, adding he doesn't know why his order was short, why there is a delay or how long it'll take to get restocked. Clarke has said in the past that he gets his cannabis from suppliers such as Canopy Growth. "I pray that something gets shipped to me overnight so I'll have some product for tomorrow. If I don't get any product I'm going to keep the shop closed and spend a couple of days with my family," he said. 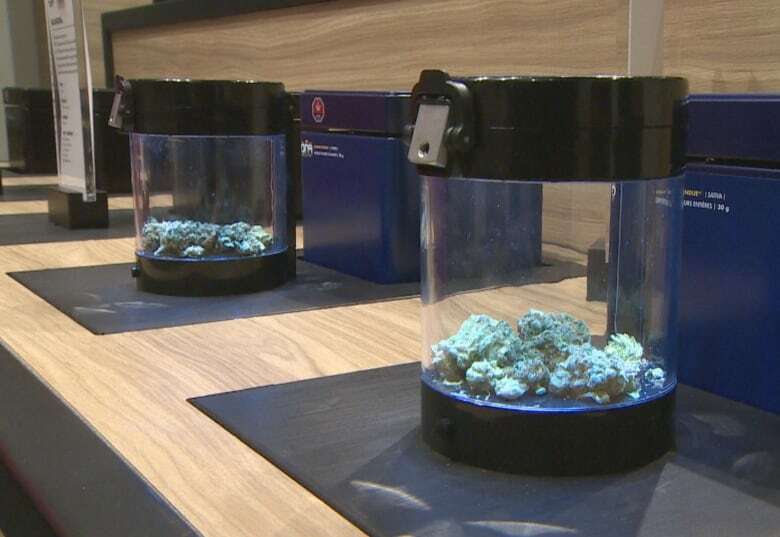 Meanwhile, the Newfoundland and Labrador Liquor Corporation, the Crown corporation responsible for cannabis regulation, said it's more than just supply problems. One supplier had its crop declared unfit by Health Canada, while another supplier has cannabis ready, but is stuck waiting for Health Canada-approved packaging to ship it out. An NLC representative said the CEOs of the supply companies said they're doing their best, but they can't make marijuana plants grow any faster. Cannabis N.L., the province's online retail for marijuana, is up and running, and people can place orders, and suppliers are trying to meet those orders, but it's a balancing act between supplying online and in-person stores. A business in Gander has also completely sold out of marijuana. A sign on C-Store, as part of Loblaws, said it was sold out temporarily. The shop is the only licensed retailer in the town. There was a similar inventory issue in Grand Falls-Windsor. A C-Store employee at that location confirmed the store had run out of product around 1 p.m. Wednesday afternoon. The employee said they expect a shipment to be received Thursday morning. As for Tweed on Water Street in downtown St. John's, another of the handful of businesses that opened its doors as of one second after midnight Tuesday, they confirmed that they are doing just fine with their supply and are still welcoming interested or curious buyers to their store.